What is the role and function of Egyptologists? Define Egyptologists - An Egyptologist is an historian or archaeologist who specialises in Egyptology, the scientific study of Ancient Egypt and its antiquities. The most famous Egyptologists are detailed on the following table. 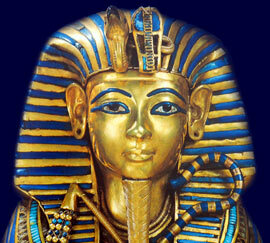 The list refers to famous Egyptologists who are now deceased. James Bruce British 1730 - 1794 KV 11 aka "Bruce's Tomb"
Each section of the Egyptologists addresses all topics and provides interesting facts and information about the Golden Age of Pharaohs and of Egypt. The Sitemap provides full details of all of the information and facts provided about the fascinating subject of the Pharaoh - Tutankhamun and the Egyptologists!